Setting up a trust fund is one of many ways you can transfer money, property, and other assets to your loved ones or worthwhile causes. Like a will, it’s an estate planning tool that outlines how your affairs should be handled after you pass. But a trust fund actually provides more control, privacy, and specificity. It can help you minimize estate taxes and avoid probate, and it can save your beneficiaries time, money, and piles of paperwork. Here’s what you need to know about setting up a trust fund. Before you set up a trust fund, think about the purpose it will serve. There are revocable trusts and irrevocable trusts; living trusts and testamentary trusts. There are also trusts for particular use cases. Education trusts specify that their funds must be used to cover academic expenses. Spendthrift trusts also limit how beneficiaries can use their funds as well as how they’re distributed. A special-needs trust helps allocate an inheritance or income to people with disabilities. As its name suggests, charity trusts help grantors bequeath gifts to charitable organizations. Figure out what purpose you’d like the trust to serve, and choose accordingly. A financial advisor can help you make this decision, especially if he or she specializes in estate-planning topics. The grantor, or trust creator. If you’re creating a trust to manage the distribution of your assets, that’s you! The property and assets in the trust. The beneficiaries or asset recipients. The trustee, who administers the trust and carries out your wishes. This may be you while you’re still alive, but you should appoint a successor trustee to manage the trust and execute your wishes after you’ve passed away or become incapacitated. Once you’ve chosen the right trust type of trust, you should record what assets you’ll place in the trust fund, how the assets will be managed and distributed, and who the beneficiaries and trustees will be. Also consider how long the trust will last and what conditions will cease to operate. Several websites offer DIY trust services, but they usually aren’t a safe solution. Trusts can be complicated, so most grantors opt to enlist the help of a professional estate or trust attorney. Ask friends, family, and colleagues for referrals if you’re comfortable doing so; if you work with a financial advisor, he or she should also be able to point you in the right direction. State and local bar associations also list attorneys that will be familiar with state trust laws. Since fees can vary widely, you should compare prices as well as testimonials. You should also check whether your employer offers discounted estate planning services as part of their employee benefits package. Your attorney will create a declaration of trust, deed of trust, or trust instrument to formalize the trust details you’ve decided on. The document can be short or long, simple or complex. It depends on the types of trust, the assets in the trust, and the number of listed beneficiaries. 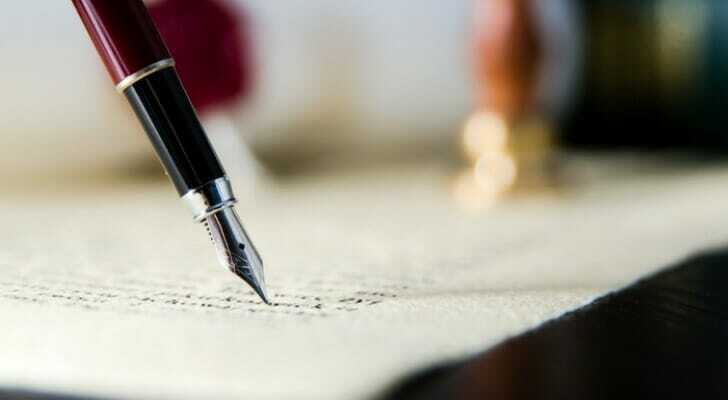 Once your attorneys has completed the trust document, you must sign the document in the presence of a notary. Some states require you to file trust documents with the state; an attorney can advise you on whether you need to do that, how to do so. Once you’ve created your trust, it’s time to fund it. Take your trust documents to a bank or financial institution and open a trust fund bank account with the same name as the trust. You will need to provide the names and contact information of the trustees. You can either deposit a lump sum or pay into the trust over time. Eventually, the fund becomes the new owner of the assets. Once your trust fund is established, you have to register it for tax purposes. Each trust fund will usually require its own taxpayer identification number (TIN) for tax returns and financial accounts, among other needs. This is the equivalent of an individual’s Employer Identification Number (EIN) or Social Security Number (SSN). The IRS website makes it easy to file online, but you can download and submit Form SS-4 by mail if you prefer printouts. Since a trustee is responsible for managing and distributing the contents of the trust, choosing the right one is vital to the success of your estate plan. A trustee can be a person, like a relative, or an institution, like a bank. Either way, they will have a fiduciary responsibility to act in your and your beneficiaries’ best interest. Trustee duties are far-ranging, including paying bills, keeping records, preparing taxes, and making investment decisions. Becoming a trustee may require conducting legal or financial research and seeking professional expertise. You should only appoint someone who knows your values and whom you trust to take these responsibilities seriously. People that are organized, competent, and reliable usually make the best trustees. Some grantors choose to appoint multiple trustees, combining family members or friends, professional attorney or accountants, and a bank or trust company. Corporate trustees bring experience, objectivity, and professional resources to the table, but often charge a fee for their services. If you are naming a single trustee, name at least one successor trustee that can step into the primary role if need be. It’s best to use flexible language in your trust, so you can add or alter trustees if something changes. In addition to personal relationship changes, there are bank troubles to protect yourself against. Trust funds can be a great way to protect and pass on wealth, but they are not perfect. They almost always require the use of attorneys or other experts, who charge high hourly rates. 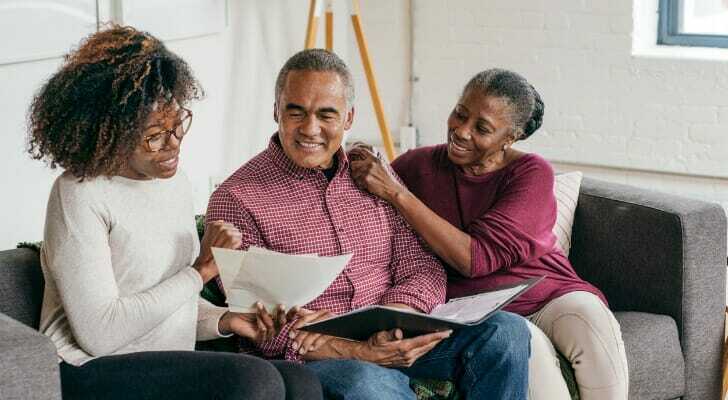 You might not need a trust if your finances and end-of-life wishes are relatively straightforward (so long as you’ve made other estate-planning arrangements, such as a will). A good estate planning lawyer or financial advisor can help you determine whether a trust is something you need or want. They can also help you through the process of creating and funding a trust that clearly and specifically describes how your assets should be distributed upon your death in an incontestable way. Finally, they can help you avoid common trust fund mistakes, like picking an unsuitable trustee, neglecting to fund the trust, or making trust instructions too rigid. A trust is just one of a wide range of financial matters you’ll need to deal with late in life. These include life insurance, long-term care and setting up advance directives to deal with potential end-of-life medical issues. Working with a financial advisor can help to ensure you’ve covered all your bases and can enjoy your golden years without worry. Before you start worrying about your estate, though, you need to make sure you’ve got enough saved for your own retirement. Using our retirement calculator can help you see whether you’re on track for your retirement goals or whether you need to start saving more. The post How to Set Up a Trust Fund appeared first on SmartAsset Blog.